Lost Walt Whitman Novel Discovered By Grad Student : The Two-Way An ad in a March 1852 edition of The New York Times led Zachary Turpin on an electronic search that uncovered a rags-to-riches novella that Whitman published anonymously. In 1852 — three years before Leaves of Grass — Walt Whitman anonymously published a short novel, in six parts, in New York's Sunday Dispatch. It's a work of short fiction: a 36,000-word novella published anonymously, in six parts, in a New York newspaper in 1852. The discursive nature of the manuscript's full title — Life and Adventures of Jack Engle: An Auto-Biography; In Which The Reader Will Find Some Familiar Characters -- places it squarely in its literary era, as does its subtitle, A Story of New York at the Present Time. What's notable about the novella is its author — the beloved American poet Walt Whitman — and its place in Whitman's literary career. Just three years after Jack Engle saw print, Whitman would publish the work that would enshrine him in the American canon: Leaves of Grass. Prior to Monday's announcement, it was believed Whitman spent the early 1850s at work on that magnum opus, publishing little of note. In 1842, Whitman had published another work of fiction, a harrowing "temperance novel" about a stouthearted young man whose life is nearly destroyed by alcohol. Whitman distanced himself from that early work and never publicly acknowledged authorship of Jack Engle. Turpin spoke to NPR about his discovery, made when he was scouring a vast online database of 19th century newspapers for names found in Whitman's notebooks. "What I'm looking for are these very unique character names Whitman had written out — Wigglesworth, Smytthe ... and the first thing I see on the page are those names. ... It was surreal." Turpin describes the book as, among other things, Dickensian. "It's also a sentimental novel; it's also city mystery novel. It's multifaceted, let's put it that way." As for how Jack Engle intersects Leaves of Grass, Turpin says, "They're apples and oranges. You have certain passages like [those excerpted below] that are remarkably similar, that presages ... Leaves of Grass, which he was probably writing simultaneously. ... 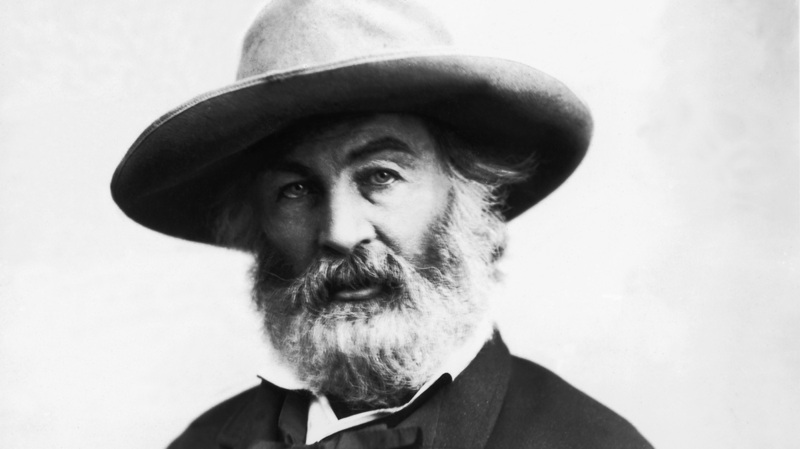 There are also elements that are wildly different — chases across New York and romances and scheming, mustache-twisting villains are not the stuff of Leaves of Grass, but these are the stuff of Whitman's long and storied fiction career, and career as a journalist." As for what Turpin thinks of the the work itself, he says, "I'm really blown away by this book. ... It's all things to all men. It's weird, it's wild, it's beautiful and hilarious, and turns on a dime in ways that are both great and terrible. It's truly phenomenal, and I think something that everyone will enjoy picking up." It's the second time in as many years Turpin has made such a discovery. Previously, he found another Whitman manuscript, a series of articles offering tips for a healthy and vigorous lifestyle, in another newspaper. Asked if historians should respect Whitman's wish for his early work to "be dropped in oblivion," Turpin says, "I respect that ... on the other hand, Whitman's greatest wish was to be the greatest and most famous poet in America." "Out there in the fashionable thoroughfare, how bustling was life, and how jauntily it wandered close along the side of those warnings of its inevitable end. How gay that throng along the walk! Light laughs come from them, and jolly talk — those groups of well-dressed young men — those merry boys returning from school — clerks going home from their labors — and many a form, too, of female grace and elegance. "Could it be that coffins, six feet below where I stood, enclosed the ashes of like young men, whose vestments, during life, had engrossed the same anxious care — and schoolboys and beautiful women; for they too were buried here, as well as the aged and infirm. "But onward rolled the broad, bright current, and troubled themselves not yet with gloomy thoughts; and that showed more philosophy in them perhaps than such sentimental meditations as any the reader has been perusing."